Reading “Nashville Scene” tonight online; I’ve been reading a lot from Nashville these past few weeks. I wish we didn’t have to do this, but our house is officially on the market. If you know someone moving to the area or looking for a new “crib” send them my way. 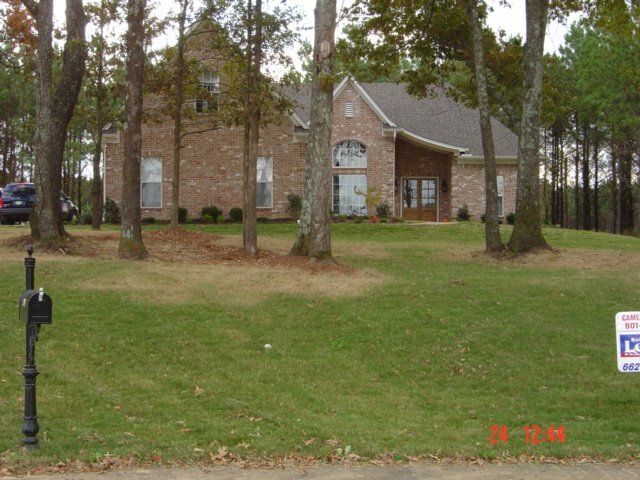 1.3 wooded acres, 4 bedrooms, 3 full baths, bonus room, office, walk-in pantry, granite counter tops, lots of other extras. This is the house we thought we’d stay in forever, until I got the job in Nashville. It’s a great house. My wife gives me a gift card from Circuit City for my birthday. It was what I asked for. I like being able to pick and choose what I want. So today I go into the new Circuit City store in Southaven to pick up some music. It’s been awhile since I’ve bought a cd, most everything I want I already have. Good thing. Because most of what I would want, they don’t have. About a third of the music selection in the Circuit City store in Southaven, Mississippi is rap. Another third is Regional Mexicana and just less than a third is R&B. They had, I counted, 3 Jimmy Buffet cds, 0 AC/DC cds and only 1 Jackson Browne cd. I could have picked up every country music cd in the store and carried them out myself in one trip. Every Contemporary Christian cd in the store would have fit in one bag. Rap music takes up 1 1/2 rows of the racks. R&B takes up nearly a full row and Regional Mexicana takes up another full row. Rock music only takes up about a fourth of one row. Are country music and rock fans just not buying cds anymore? And if they are, where can they find it? Figures. Both of my high-end cameras are down and I’m getting phone calls from clients wanting videos NOW. I had a very productive meeting this morning with a group on a project that could keep me very very busy. Tomorrow I have two meetings, one with a potential client needing a marketing video and another with a fellow videographer who may end up shooting for me. Then I get two other phone calls from people needing videos so quickly they want to start shooting this weekend. I also get an e-mail today from the repair shop estimating it will cost $600 to fix my primary camera if Sony doesn’t pay for it. My backup camera should arrive at the repair shop tomorrow. A word here about customer service. Sony has backed up every product I’ve ever purchased from them. My big screen tv has had 3 similar problems since I bought it 3 years ago. Each time, Sony has paid to have it fixed. The camera will likely (and hopefully) be paid for by Sony. Panasonic on the other hand has been a different story. It took days for me to hear back from the company and another 4 days to receive the paperwork on what they might pay for. That camera is just a year and a half old and gets far less use than the Sony. I don’t anticipate Panasonic will pay for the repair. My new video camera? It’s a Sony, and so will everything else I buy in the future. Have you seen the car commercial everyone is talking about? Seems producers shot a spot for a foreign car company and when they finished it, viewers started reporting they saw something, like a ghost, on the front bumper of the car. It sounds similar to the creepy scene from Three Men and a Baby when you can see a young boy in the corner of a room. That story was that a small boy had died in the room where they shot the movie. Turns out though, it was only a cardboard cutout that was left on the set. This one is creepier. Click here to see the commercial and watch for the front bumper of the car just as it comes out from behind the big row of trees and bushes. If you haven’t seen Jib Jab’s latest animated feature, head over there now. This is my favorite of what they’ve done so far. I forgot to mention that in addition to both of my primary cameras going out at once, I also had to buy a new cellphone today when my Sprint PCS phone fell and broke in two pieces. And my secondary computer is in the shop too. It’s been an expensive week to be self-employed. No, I’m not going to blog about the change at the top at the station on the river. I’m not going into the news that my former boss turned in her resignation today. I will say I was surprised. This makes two NYT stations losing news directors in the last week. No, I’m blogging about a streak of bad luck. Both of my video cameras are down. The first will definately require a shipment out of state for repair. The second, hopefully will be repaired in Memphis and hopefully in time for my next shoot. In the meantime I will have to purchase a 3rd mini dv camera for projects this weekend. I may have a big video equipment sale on ebay once I go to work in Nashville.